Tabby Sketchbook is still up on Kickstarter with 8 days left to go! 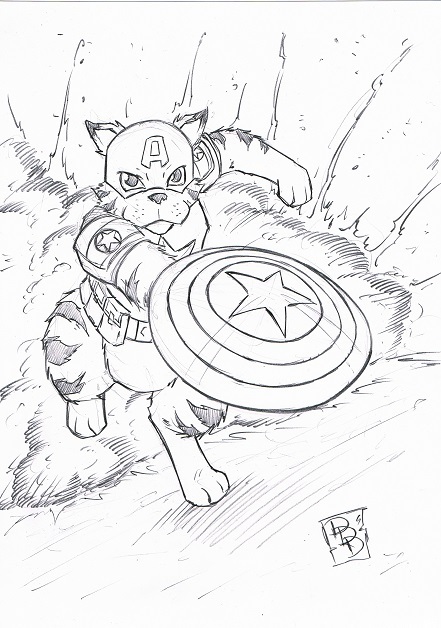 One of the amazing sketches that is part of the project featuring Tabby as Captain America with artwork by P.R. Dedelis!